If you are in your later teens, or a parent of a son or daughter in their later teens, it might be time to start thinking about wisdom teeth removal and whether it is right for you. Wisdom teeth, otherwise known as your third molars, can impact your mouth in a less than positive way, and most people who have them will choose to have them removed. Below are some things to consider when deciding whether or not to have them removed. If you have any questions, or would like to schedule a consultation to have your wisdom teeth removed, please feel free to give our Idaho Falls dentistry a call. Did you know that approximately 35 percent of the world’s population are actually born without wisdom teeth? Wisdom teeth are the last teeth to grow in, generally making their appearance later on in the teen years between 16-25, if at all! You may not know if you have wisdom teeth or not, unless the dentist has told you so, as wisdom teeth may be difficult to see as they remain under the gum line. If you aren’t sure if you have wisdom teeth or not, ask your local dentist at your next checkup. According to the American Association of Oral and Maxillofacial Surgeons, 85 percent of wisdom teeth will need to be removed at some point. There are three main reasons wisdom teeth may need to be removed, and these include prevention of pericoronitis, tooth decay, and impaction. Pericoronitis is when the tissues around the wisdom tooth become inflamed. 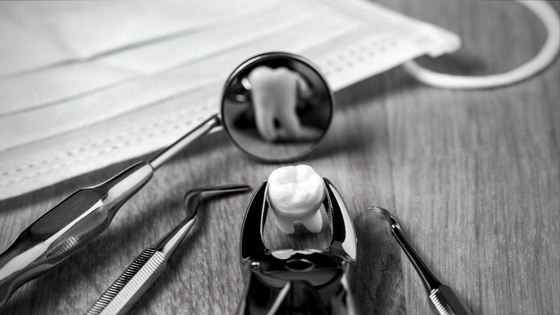 Tooth decay occurs when a cavity forms in the wisdom tooth, eating away the tooth and infecting the pulp (innermost part of tooth) or the root of the tooth. Lastly, impaction, or when the tooth doesn’t fully emerge from the gums because another tooth is blocking its path to the surface. Each of these three can cause pain in the mouth, ranging from mild to severe pain. While 85 percent of wisdom teeth will need to be removed, the dentist or oral surgeon may find upon examination it would be better to leave the wisdom teeth alone. These cases may be fewer and far between, but the dentist may find that removing the wisdom teeth could cause nerve damage or that the wisdom teeth aren’t causing any immediate risks. Wisdom teeth located on the bottom row of your mouth tend to cause more problems, though, than the wisdom teeth located on the top. If you choose to prolong the removal of your wisdom teeth, here’s a heads up of what you might experience down the road. First, do not be surprised if your teeth become misaligned. All those years of having perfect teeth or braces may soon change, as wisdom teeth can push other teeth out of position. Second, pain is a very real possibility as wisdom teeth are prone to infection, inflammation or impaction. If you are planning on leaving the country for an extended period of time, be sure to have your wisdom teeth checked out and removed if needed. It would be unfortunate to be in a place without proper care and experience mild to extreme pain. Other risks associated may include the development of cysts, inflammation, jaw and sinus problems, and nerve damage. If you are in your late teens or early twenties, and you have not yet had your wisdom teeth removed, schedule an oral examination today to determine if wisdom teeth removal is necessary for you. In most cases, wisdom teeth removal is generally recommended, since they are unnecessary and can cause a lot of issues down the road. It is especially recommended if you plan on living outside the country for an extended period of time, or plan on serving in the military, the Peace Corp, or other volunteer groups where it is required. Schedule your appointment today with Idaho Falls Smiles today at (208) 524-1700 to have your wisdom teeth examined. This entry was posted in Wisdom Teeth on April 2, 2018 by Barton. Between the ages of 17 and 25, a person may develop third molars, more commonly known as wisdom teeth. While some never develop wisdom teeth, those that do develop wisdom teeth will often experience pain or discomfort until they are removed. When wisdom teeth come in, many questions may arise such as, when should they be removed? What does the procedure entail, and what is the recovery process like? Below is everything you need to know about wisdom teeth and the removal process. Give our dentist in Idaho Falls a call today if you would like to schedule a consultation. While there’s no set age as to when wisdom teeth should be removed, if they begin to cause pain in your mouth, you should consider getting them removed. Many doctors suggest getting wisdom teeth removed while they are still emerged in the gums, and long before they become problematic. This allows the recovery period to go smoother, as the bones and roots haven’t fully formed yet. Some organizations require you to have your wisdom teeth removed as a health precaution. 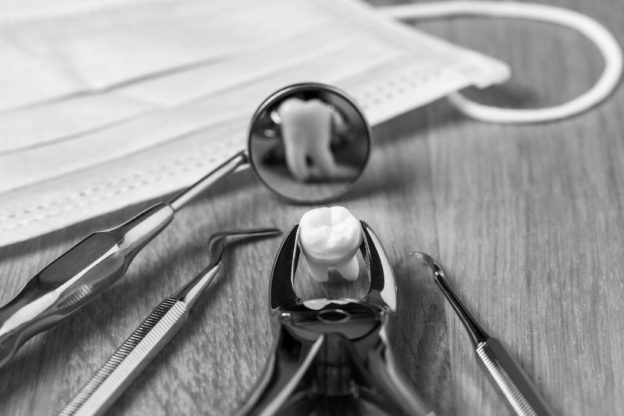 If you plan on doing volunteer work for an extended period of time with an organization, such as serving an LDS mission or joining the Peace-Corps, the removal of wisdom teeth is generally required beforehand. While removal isn’t required in the military, it is highly encouraged in order to avoid situations where intense pain may be experienced, without the proper resources available, particularly for those serving overseas. What Kind Of Anesthesia is Available? Local anesthesia. The dentist or oral surgeon will administer the anesthesia injections near each extraction. This option allows you to be completely conscious during the procedure. Although you’ll experience a feeling of pressure, you shouldn’t experience any pain. Sedation anesthesia. This option is more feasible for those who have anxiety about the procedure itself. The anesthesia is administered through an IV in the arm, and completely suppresses your consciousness during the procedure. No pain is felt and the patient has limited memory regarding the procedure. Local anesthesia is also applied to numb the gums. General anesthesia. This type of anesthesia is similar to sedation anesthesia, with a few differences. Patients may either receive sedation through an IV, or through the nose, or both. Consciousness is lost completely, with no memory of the procedure. A surgical team closely monitors medication, temperature, breathing, blood pressure and fluids. Pain management. Over-the-counter pain relievers such as Tylenol and Ibuprofen may help with pain relief. Generally, a prescription for pain relievers is given from your dentist or oral surgeon. Experts also suggest icing your jaw to relieve pain and reduce swelling. Bleeding. It’s normal for your sockets to bleed or ooze the first day after your procedure. Dislodging a blood clot from the socket can cause further complications. As such, experts recommend the avoidance of excessive spitting. The dentist or oral surgeon will most likely provide gauze for you to place over the extraction site to assist with blood control. Bruising and swelling. Bruises may take several days to heal, but the swelling of your cheeks will usually improve in two to three days. Icing your cheeks will help them go back to normal at a faster rate. Activity. Avoid strenuous activities for a week that would cause the blood clot to be removed from the socket. On the day of the initial surgery, you should rest for remainder of the day. Food. Chewy, hard, hot and spicy foods should be avoided until they can be tolerated. Only soft foods, such as yogurt and applesauce, should be eaten for the first 24 hours. Tobacco use. Don’t smoke for at least 72 hours after surgery. Chewing tobacco shouldn’t be used for at least a week. Getting your wisdom teeth removed can be a hassle, but preparing for it doesn’t have to be. At Idaho Falls Smiles, we’re here to ensure you have a smooth experience when it comes to getting your wisdom teeth removed. Everything you need to know about wisdom teeth can be answered by one of our very own dentists in Idaho Falls. If you have any further questions or concerns regarding your wisdom teeth, don’t hesitate to give Idaho Falls Smiles a call today at (208) ­524-1700. This entry was posted in Wisdom Teeth on September 27, 2017 by Barton.